With these beautiful flowers, you can see why the butterflies are so attracted to them. Give someone special a little bit of the garden today. 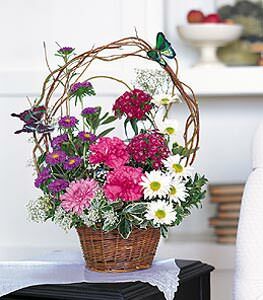 Asters, carnations, Sweet William and daisies arrive in a basket with colorful butterflies and curly willow.